Read References & Comedy Reviews? Israeli-Palestinian Comedians “fight” Is it real? IN THE NEWS: Radio Interview in St. Louis with Hanania and Freeman. Listen? View this 9 Minute Comedy Sampler Now? WEB: Middle East comedian … VIDEO ONLINE:View Video Sampler? 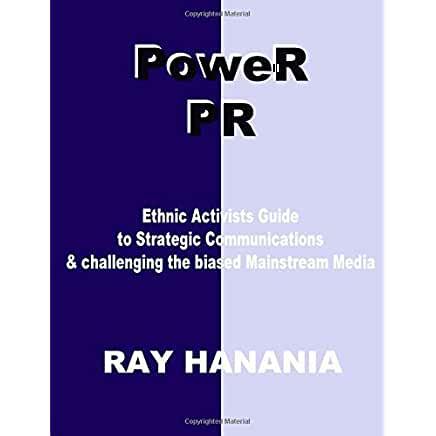 Ray Hanania is an award-winning journalist, nationally syndicated columnist, author and one of the country’s few Arab (Palestinian) American stand-up comedians and satirists. He is the only Palestinian to write a humor AND serious column for a web site owned by a major Israeli newspaper, Yedioth Ahronoth’s www.YnetNews.com (2004-2007) and also for the Jerusalem Post Newspaper. Hanania is managing editor of The Arab Daily News at www.TheArabDailyNews.com. In 1996, he published the humor book, “YA HABIBI: Growing up Arab in America.” The humor in his book helped start some of the Arab community’s first comedians. In 1998, he authored a humor column for NEWSWEEK Magazine lampooning the profiling of Arabs at airports. His most recent humor book is “Slice of Life,” a collection of his award winning humor columns. Hanania has performed his unique stand-up comedy at Taste of Chicago, Caroline’s on Broadway, Brandeis University, and at Arab festivals in Seattle, Milwaukee and Dallas. He is one of the most covered Arab comedians in the country. His comedy addresses a wide range of topics including an Arab and Muslim theme regarding growing up Arab in America. And, Hanania lampoons his real-life marriage to his wife who is Jewish. The comedy topics expand far beyond ethnic humor. They include topics from his years as a political reporter covering Chicago City Hall and regional American politics, to everyday life featured in his many humor columns published in newspapers around the country. Hanania avoids using foul language or four-letter words in his act, which sets him apart from some other known Arab and non-Arab professional comedians. Positive reviews of his show are widespread. While some Arab comedians put down other Arabs and Muslims for pursuing comedy after Sept. 11th, Hanania believes that the world is a big place and there is more than enough room for competition. He works to help other Arabs and Muslims enter stand-up comedy, humor writing and satire. He has dedicated his life to defending the rights of Arabs and Muslims in America. He is proud to be have been a supporter of the first annual New York Arab ComedyFest. He often partners with Egyptian American comedian Sherif and also Jewish American comedian Aaron Freeman in shows. Hanania hails from an Orthodox Christian family. His father is from Jerusalem and his mother is from Bethlehem. Call and check on booking him today. If you are a producer looking to script a TV sitcom on an Arab-Jewish marriage with all the potential humor involved, contact me because “Everyone Loves Abdullah” can work! THIS POST HAS BEEN READ 4737 TIMES SO FAR. THANK YOU!